In today’s multi-tasking, fast paced world, stress has graduated from a mere buzz word to an accepted part of our daily lives. We can’t open a newspaper or magazine without seeing something written about stress and its effect on our health and well-being. While a few individuals have learned to thrive in our stress-induced culture, most of us have not. We are stressed out, worn out and (most of the time) not happy about it. The unfortunate thing about stress is that it is presenting itself in many young people and even children today. car breaks down, flat tire, etc. The stress response, also known as the “fight or flight” reaction, is caused by the body’s instinct to defend itself. During a stress reaction, the pituitary gland sends off an alarm to the adrenal glands signaling them to release hormones like adrenaline and cortisol into the body. Cortisol is a necessary stress hormone designed to help you cope with danger by releasing amino acids from the muscles, glucose from the liver, and fatty acids into the blood stream to produce a tremendous amount of energy. This stress response can become harmful to the body and lead to physical symptoms when it goes on for too long. If the anxiety and pent-up energy caused by the stress response isn’t released, stressful situations start to pile up on one another and your body has no time to recover. One problem, if you don’t physically burn them up in intense physical activity it continues to stimulate the release of even more stress hormones. As the body ages, high levels of cortisol production increases and coupled with low levels of DHEA, testosterone and estrogen, the loss of cartilage, bone and muscle tissue is accelerated. Asthma and various immune system disorders like rheumatoid arthritis, lupus, irritable bowel syndrome, Crohn’s disease and fibromyalgia. Since stress is unavoidable, it is important that we arm ourselves with techniques and strategies to manage and reduce the amount of stress in our lives. If some of the symptoms above sound familiar to you, the good news is that you can do something about it. You can learn to transform your reactions to the stressors in your life with some easy and quick-to-learn techniques that go to work immediately so that you can feel better fast. These include various mediation, breathing and yoga techniques. Meditate or listen to relaxation tapes. This product is simply amazing, I have to say I have never seen anything like it before. It is designed to shower you with negative ions, balance your energy systems, create a thin protective shield around you and clam you down instantly. It is extremely affordable! I have posted the link so that you can read about it. Simply click onto the 5 new products category, then on the name of the product. Calming and Balancing Mist (fragrance free): Our unique, one of a kind balancing and calming mist works instantly and is extremely effective. We recommend carrying this product with you to work if your job is the situation at your workplace is stressful, irritating or creates frustration for you in any way. I also keep a small bottle in the car for those crazy driving days. It can be used as often as needed. 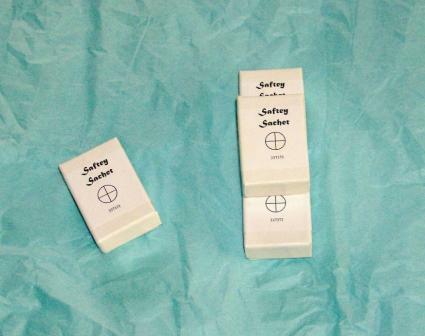 Safety Sachet: Many problems are caused by entity and negativity contamination. These include: depression, anxiety, fears, addictions, headaches, neck aches, alcoholism, sleeplessness, eating disorders, phobias, relationship difficulties, bad health, rage, hyperactivity, crabbiness, gambling, money problems, blocks on personal growth, and blocks on spiritual development. 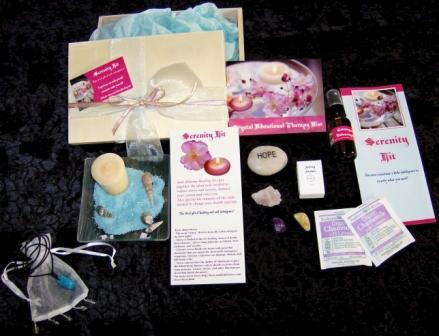 With Soul Alchemy Healing’s Safety Sachet it is easy to remove, banish and protect yourself from these unwanted energies at any time. This is great for sudden headaches or neck pain; often signs that you have picked up an entity or contaminated energy. Mini Holiday: First take out your glass dish, pour the coloured sand into it. Place your vanilla candle on top along with the shells. This will trigger the unconscious mind with memories of a sandy beach holiday. Light your candle whenever you’d like to relax and withdraw from the world. Your healing necklace is designed to assist you in times of stress when your confidence levels may have suffered as a result. It has been cleared and charged so all you need to do is set the adjustable cord to the length you prefer and slip it on. There are three healing stones to assist you in different and unique ways, choose the most suitable for the day and work with it by either holding it or putting it in your pocket. I make a practice of sleeping with one each evening. I find it an effective way to experience the healing benefits and get a great night’s sleep. Keep an Amethyst cluster at your desk or in your therapy room to transmute negative energy. Amethyst helps you think and act at your highest level. 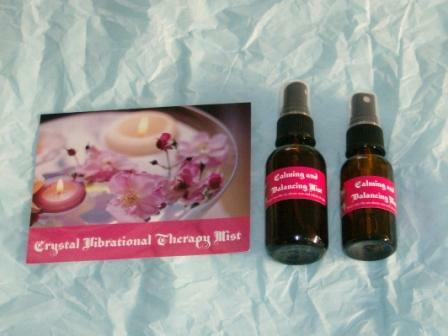 It’s good for promotions (spiritual), and reduces tension headaches. Wear an Amethyst pendant continuously for migraine prevention and for alleviating arthritic pain. The “Success Stone” – Citrine encourages a bright outlook and happiness. It attracts wealth and joy. Keep a piece in your wallet to enrich your holdings. It can help stabilize emotions and soothe family problems. Citrine is also good for improving stress-related digestive problems. “The Love Stone” – Rose Quartz is very protective and soothing for many issues. Place a large chunk of the stone at your Heart Centre for 15 minutes to relax after a stressful day. Rose Quartz helps to unblock anxiety and to promote healing of private emotional issues. It allows one to become more receptive and open to challenges. The worry stone is designed to hold all the negative and unwanted energy, stress and anxiety you would like to release. Simply hold it and let everything that you no longer choose to hold go into the rock and let Mother Nature do the rest. It is amazing how much better you will feel when you release these unwanted energies. Serenity Cards: These positive healing messages are designed to help you choose a focus for the day. Toss the cards in a small dish and choose one at the beginning of each day as a focus for the day. Whenever you feel yourself becoming stressed out or anxious simply recall your focus card and meditate on the word. Chamomile and Lavender Tea: This is a great way to end your day! The combination of chamomile and lavender with lemon balm has digestive and nervous system sedating properties useful for nervous stomach and restlessness associated with stress and anxiety. Organic Chamomile with Lavender has a pleasantly aromatic and balanced taste. Meditation techniques: We have provided several meditation techniques for you to try. Use each one and discover what works best for you. Whatever you decide, know that anything you do to reduce the cortisol production in your body will ensure a healthier body, mind and spirit.